Country music singer Glen Campbell, who is now 75 years old, is diagnosed with Alzheimer’s disease but this doesn’t stop him continuing what he started: releasing an album during the summer. The country legend’s representative, Bobbie Gale, announced the news on Wednesday. He also said that the disease is in its early stages. Campbell’s wife, Kim, who is 75 years old, has spoken to People magazine about her husband’s disease. The first reason she wanted to go public about his condition is that the fans should know about it, if he has problems on stage. Campbell’s latest album is called “Ghost on the Canvas” and is due to be released at the end of August. 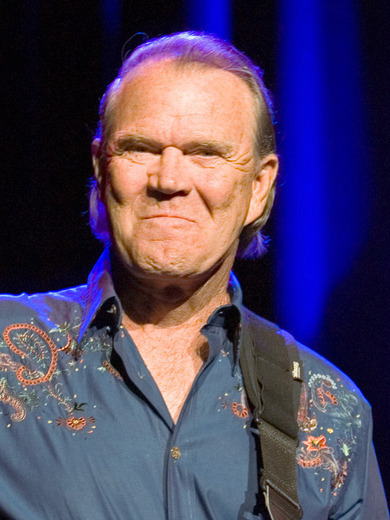 He has also scheduled a last tour called “The Glen Campbell Goodbye Tour”. The singer became famous for his songs “Gentle on My Mind” and “By the Time I Get to Phoenix. His greatest hit was “Rhinestone Cowboy”. Besides his music career, Campbell made a TV career as well. He had his own show on CBS. Alzheimer’s disease is a form of dementia resulting in loss of brain function over time. It affects the memory, the thinking and the behavior. It causes memory impairment, the ability to have a fluent conversation, the inability to make decisions, changes in personality traits. The medical experts still haven’t figured out what triggers Alzheimer’s disease and the current treatment, consisting mostly in medication, can only slow down the degradation process. Alzheimer’s disease is the most common form of disease in people 60 years old and older. The prevention of the disease involves al the measures that we usually take in order to better our immune system: consuming low-fat foods, eating foods rich in omega 3 fatty acids, vitamin E, vitamin C; maintaining a normal blood pressure; avoiding stress as much as possible; stay mentally and socially active. Medical experts have started testing of a vaccine against the disease, PubMedHealth says.